We are a small family operated business, in operation since 2006 specialising in carpet steam cleaning, tile and grout cleaning and all types of general and contract cleaning. We pride ourselves on good old fashion service with top value for money. Being a small business and not a franchise, you know that you can always get a straight up response to any enquiries with no hidden costs associated with large franchises in the industry. AQUA PEEL Carpet Steam Cleaning uses truck mounted hot water extraction to clean your precious carpets. This approach is recommended by Choice consumer guide An added benefit is the use of eco-friendly steam which cuts down the need for harsh chemicals. We use high pressure steaming hot water to wash your carpets. The high pressure method heats the water to a very high temperature breaking up dirt, bacteria and other things that are in your carpets making it easier to remove. Heavy duty truck mounted units are proven to do a much better job than portable units that can be carried into your home. How frequent should your carpets be cleaned? 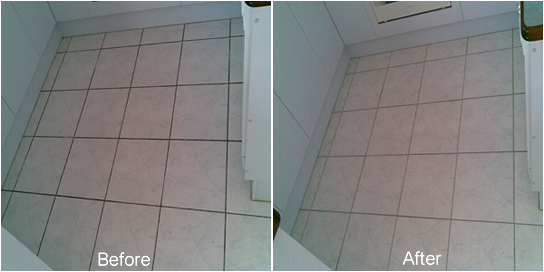 Over time tiles & grout attract grime that just regular mopping wont remove by itself. Using a high pressure tile cleaning machine, we pump high pressure steam onto tiles at the same time extracting all the dirt & bacteria back into the machine tank. Bringing back to life dull stained tiles & grout. Sealing of grout after this proceedure is also an added advantage, making grout less pourous and will help to keep dirt & bacteria out of grout for longer when you resume regular mopping. Aqua Peel is a fully certified IICRC firm.